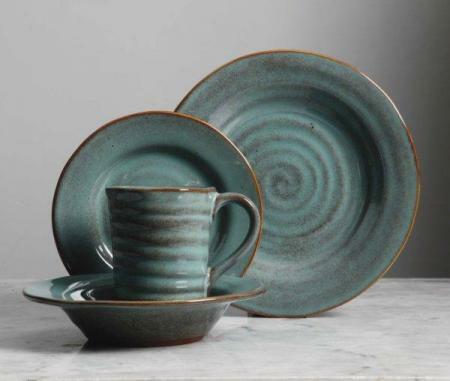 Mariani Teal dinnerware set is a new stoneware dinner set from Gibson Elite. The teal is a deep rich color that contrasts well with the spiral design and brown edges. 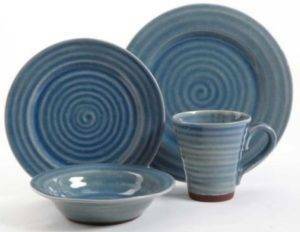 What sets Mariani Teal dinnerware set apart from the other Gibson Elite patterns is its design. Inspired by the Tuscan region of Italy, Mariani is a warm rustic pattern whereas many Gibson patterns are bold and striking. 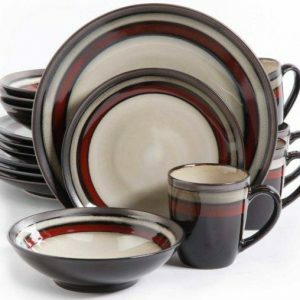 The 16-piece dinnerware set includes four each of the following: dinner plates, salad plates, soup bowls and mugs. 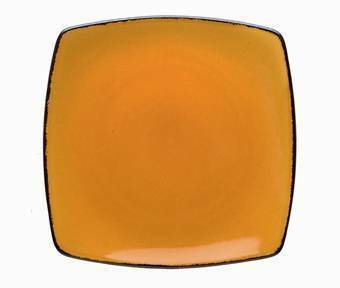 Reactive glazes are a blend of art and science so enjoy the variations and uniqueness of every piece. 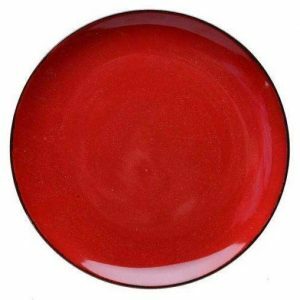 They are formulated to produce reactions during the kiln firing resulting in varied and beautiful effects on your dinnerware. 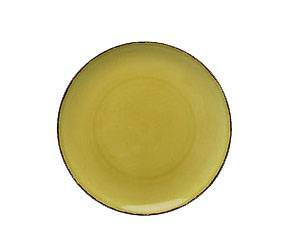 The final appearance of the glaze is dependent on firing temperature, glaze thickness and the composition of the stoneware body. The same glaze can look quite different on different clay bodies. 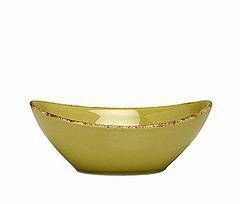 All Gibson reactive glazes are food safe and fully comply with FDA and California Prop 65. 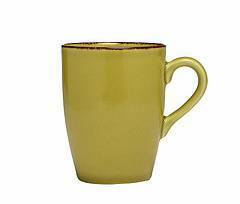 If you want to learn more about reactive glazes visit Reactive Ceramic Glazes. 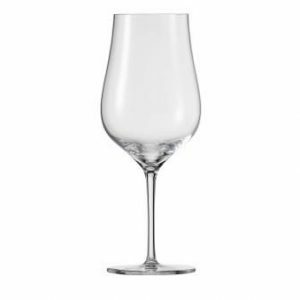 The Buying Guide has useful information on stoneware, product care and how dinnerware is sold.